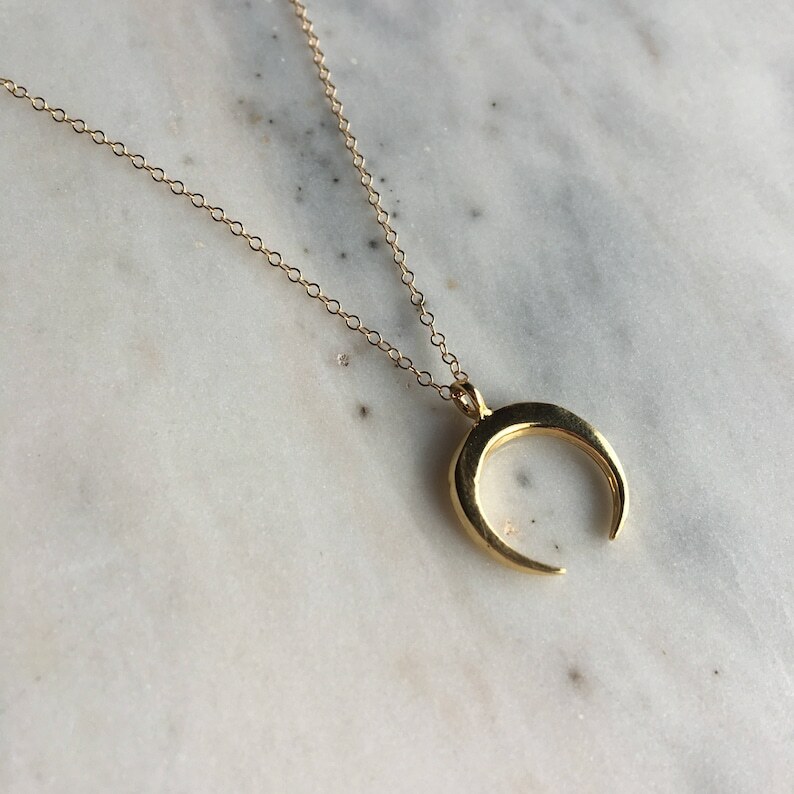 A pretty moon necklace is perfect on its own or layered. Vermeil moon. All gold filled components. Choose from 16"-24" at checkout. Beautiful necklace and excellent customer service! Pretty and really light weight. the shipping takes a lonngggg time and the gold is rubbing off on the area that holds the crescent. further, the clasp broke and my husband had to fix it.